A 40-year old gentleman went into First Consultants Medical Centre Limited at 16/24 Ikoyi Road, Obalende, Lagos Nigeria, on Sunday 20th July 2014 with symptoms suggestive of Malaria (Fever, headache, extreme weakness) and he was attended to by Dr.A.S.Adadeveoh, a senior medical consultant in the hospital. He was fully conscious and gave his clinical history; he identified himself as Patrick Sawyer, a Senior Diplomat from Liberia. Laboratory investigations confirmed malaria whilst other test for HIV, Hepatitis B&C were negative. He was admitted and treatment commenced. However, due to the fact that he was not responding to treatment. but rather was developing hemorrhagic symptoms the hospital further questioned him. He denied having been in contact with any persons with EVD (Ebola Virus Disease) at home, in any hospital or at any burial. In spite of this denial the hospital immediately decided to conduct further tests for possible Infectious Hemorrhagic Disease, especially Ebola Virus Disease, based on the fact that he was a Liberian citizen and the recent outbreak of EVD in that country, he was quarantined and refused exit from the hospital, the initial test results from Lagos University Teaching Hospital (LUTH) laboratory indicated a signal of possible EVD, but required confirmation. Working jointly with the State, Federal Agencies and International Agencies, the hospital was able to obtain confirmation of EVD (ZAIRE STRAIN), (W.H.O. Regional Center Lab-Senegal/Redeemes lab/ Lagos University Teaching Hospital (LUTH) Laboratory, but the gentleman subsequently died on Friday 25th July, 2014 at about 6.50am. the hospital was shut down temporarily while in house patients were immediately evacuated, the appropriate professional removal of the body and its incineration under W.H.O. guidelines witnessed by all appropriate agencies was also carried out. It was not long after the Ebola virus had landed at the Lagos airport on July 20 in the person of Patrick Sawyer, a Liberian national and naturalized American citizen who had fled the Liberian capital Monrovia due probably to hope of a better treatment in Nigeria, who died five days later, by which time others had been infected, whereupon the Lagos state government, in collaboration with federal authorities, was quick to promulgate the message: Avoid physical contact, wash your hands frequently, and leave it to professionals to handle the dead. Myriad of radio and television stations broadcast the warnings; it becomes common to find hand sanitizer at the entrance of many companies for usage by customers and clients of those organizations, all available social media were put into use to ensure every segment of the country is reached, the authorities also asked churches and mosques to spread the news. (Most Nigerians are profoundly religious, and even many nonbelievers attend services, compelled as often as not by neighborly tradition rather than pietistic pressure. At the seaport, medical personnel were positioned to ensure that members of crew of any ship coming into the country are checked using the infrared thermal detectors and other medical apparatus right inside the ship before coming down just to ensure none of them is a carrier of the disease and this is done at every point of entry into the country. Working from the airline passenger list and hospital patient information, the authorities were quickly able to develop a comprehensive list of those who came into contact with Mr. Sawyer, and sent medical workers to locate those who might have been exposed to the virus. Some 200 people were put under observation until the 21-day incubation period had passed. The government wanted to avoid the panic and mayhem that occurred in Liberia and other ebola ravaged countries, it is important to say here that the speed and efficiency with which the Lagos State authorities reacted was exemplary. It seems as if the virus has been contained in this city of more than 20 million people. Agence France-Presse later confirmed that 320 people suspected of exposure to the virus have been certified clear and released, and that another 41 remained under surveillance. The federal Government immediately declared public health emergency and released 1.8 billion Naira for intervention, which is about 11 million U.S Dollars. The authority also commenced the screening of all inbound and outbound passengers as precautionary measure to check the spread of Ebola, there was installation of infrared thermal detectors at four point-of-entry to track infected persons coming into or going out of Nigeria, the government also disallowed further repatriation of corpses from the three-worst hit Ebola countries in West Africa, appealing as well to passengers coming into Nigeria to provide honest details of their health status when completing immigration and customs forms. Five thousand U.S dollars worth of medical screening equipment was donated to Nigeria by the United States to be used at the Murtala Mohammed Airport in Lagos as part of her contribution to help in the fight against the virus. Partnering with Wellcome Trust, the Dangote Foundation entered into a £40m investment deal in African for research into EVD. Banks and several organizations started taking precautionary measures to curtail the spread of the deadly virus as well as hand-washing sensitization going around the country. There is no doubt that quick action by the authorities has generated a broad sense of civic responsibility. Even the federal government appears to have taken an atypically responsible approach and the United Nations officials also praised the way Nigeria has handled the threat so far. Mr. Jeff Hawkins, the US consul-general in Nigeria, expressed satisfaction with the timely response of the Nigerian government to the contagious disease since its importation into the country by Patrick Sawyer. He commended the measures already in place at the Lagos airport. 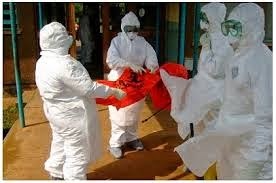 Nearly 400 persons were put under surveillance in Port-Harcourt, the Rivers State capital (an oil rich state which is a home to many multinational companies and expatriates), for signs of Ebola after they came in contact with a Port Harcourt doctor, who died of the disease when a suspected carrier escaped from a Lagos isolation ward, the doctor died of Ebola on Aug. 22, according to the World Health Organization. The doctor’s wife was flown to Lagos for treatment with her three-month-old baby, which confirmed three cases of Ebola infection in the city. Dr. Abdulsalami Nasidi, project director at Nigeria Centre for Disease Control, said in an interview with Reuters in Geneva, that more isolation wards were being opened in the oil industry hub but voiced confidence that there would not be “many cases” there. In her bid to stamp out the virus earlier, Nigeria had made an appeal to the United States for the experimental drug(Zmapp) to be used for some of the confirmed cases but was refused based on the submission that the drug is not available, the ebola survivors in Nigeria were therefore not treated with any experimental drugs, but contract tracing and early identification of cases were managed by isolating the patients and replacing fluids and electrolytes, and in some cases, blood transfusions were said to be necessary. “It is important that we let the world know that WHO did well in sending us doctors with practical experience, said Dr. Chukwu. “But we also worked with the CDC, UNICEF, and MSF in managing the disease.He further stated “Three terms became part of our lexicon: surveillance, quarantine, and isolation.” But these need to be clearly explained, said Dr. Chukwu. Surveillance is carried out on people who may have had contact with someone who has contracted EVD and it is sort of like house arrest. You don’t criminalize them. The person is actually a victim, not a criminal. The persons’ movements is being monitored, the rest of the family are counseled about what contact can and can’t be done. Health officials have contact with them everyday. Only when those under surveillance show symptoms – a fever, whether it ends up being Ebola, yellow fever, or malaria – they are put under quarantine. That is the first time they deny such individual the comfort of his own bed. They put him in separately from the isolation ward from those who are confirmed. If malaria, we discharge them to their doctor to be treated for malaria”.It is only in confirmed cases that such persons are placed in the isolation centre, and the necessary medical treatment applied. I would not have done well if I fail to state here that contrary to many persons belief and especially non Nigerians from outside the country, the Nigerian government right from the outbreak of the EVD this year in Africa and till date, did not has not and I belief is not planning to close her border (Land or sea) or stop flight from the Ebola ravaged country, as a measure to prevent another importation of EVD, which some African countries believed is the right step towards the fight against the deadly disease. 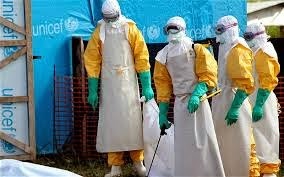 Nigeria rather in her continuous bid to lead Africa and to win the war against EVD has donated $3.5 million USD and is preparing to send about 591 trained health practitioners to the Ebola affected countries in West Africa. In all, I think Nigeria won and is winning the war against the pandemic disease through immediate response to series of alert from government and a responsive government that rose up to the challenge of the disease; having seen what EVD is capable of doing to any country where it is not taken seriously, eventually there were 19 confirmed cases of Ebola in Nigeria and the country has a record of 12 survivors.